Finding an orthopedic surgeon can be a daunting process when your ability to walk or move relies heavily on the doctor's skills. The problem is that finding the one is not always as easy as it sounds, particularly if you live in a remote region far from an urban center. Taking a structured approach may not only make the search easier but provide you with the necessary insights to make a balanced, informed choice. When beginning the search, don't go out with the aim of finding the "best" surgeon. The simple fact is that there are many definitions of "best," some of which can hinder the process more than help. Focus instead on finding an experienced, well-regarded surgeon with whom you can communicate freely and honestly. This is especially true if you are faced with multiple procedures. Working with the same surgeon means that he or she knows your case and has an in-depth understanding of your prospects and limitations. Talk to your primary care doctor who will either know the best orthopedists in your area or has a referral network to turn to. Speak with your friends or coworkers, some of whom may have had orthopedic surgery or knows someone who has. The first-hand experience always helps. Find a surgeon through professional organizations. Both the American Medical Association and the American Academy of Orthopedic Surgeons have online member directories which you can search by specialty and city/state/zip code. Use a medical review website. One of the best is HealthGrades, a free service that offers first-hand perspectives about doctors in your area as well as a breakdown of the physician's qualifications, credentials, and areas of expertise. When we speak of availability, we don't just mean a doctor's appointment book. You will need to know whether your insurance will cover the cost of surgery or if the doctor you want is on the insurer's provider list. You can do this by either calling your insurance company directly or doing a provider search on the member portal of your insurance company website. To verify that an orthopedic surgeon is not only certified but has Maintenance of Certification (MOC) status, you can use the provider portal maintained by the American Board of Orthopedic Surgeons (ABOS). For a more thorough background check, you can turn to HealthGrades for details about any malpractice suits or sanctions a doctor may have faced. You can also do this for the hospital itself to better assess their patient mortality rates, rates of post-surgical complications, and more. Once you find a candidate, schedule an appointment and go there will the full intention of interviewing the doctor. Be direct. Never be shy about asking how many times a doctor may have performed surgery or how he or she might approach it differently than a colleague. An experienced professional would fully expect this and be able to articulate how and why a procedure should be done. By contrast, any surgeon who is offended may be someone you would want to avoid. While time may be of the essence, it's important that you use the time to make an informed choice based on full disclosure and transparent communication. You deserve nothing less. 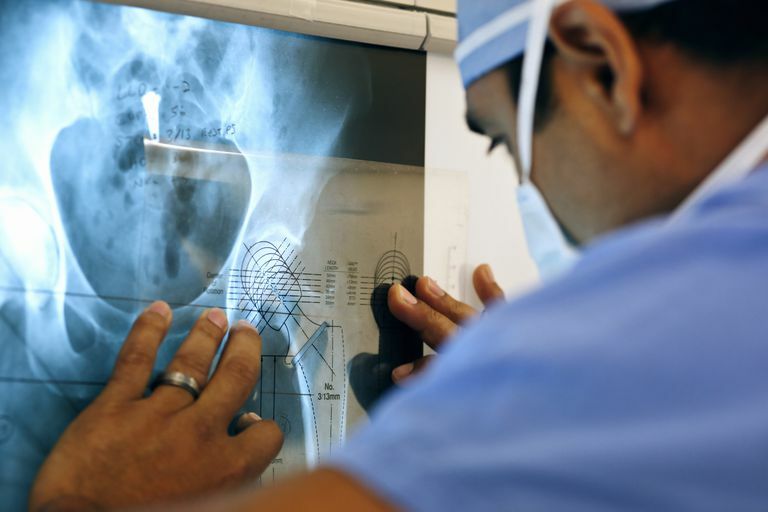 Who is "The Best" Orthopedic Surgeon? Do You Know Who Made Your Joint Implant?